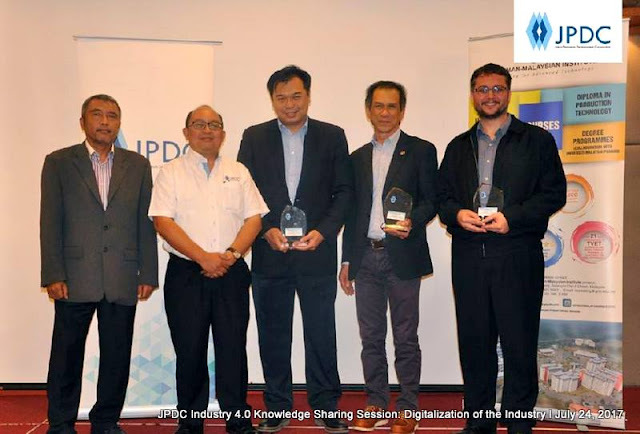 Organised by JohorPetroleum Development Corporation Berhad (JPDC), the Industry 4.0 Knowledge Sharing Session took place on 24th July 2017 at Grand Blue Wave Hotel Johor Bahru. The 3-hour talk aimed to explore how Industry 4.0 impacts the Oil & Gas industry (downstream & related industry). Approximately 60 stakeholders from TVET institutions, Johore government officer, agencies and PIPC (Pengerang Integrated Petroleum Complex) officers attended the event. It is an honour to be invited by JPDC to collaborate and speak at this event about Virtual Asset Management for the Oil and Gas industry. To find out more, contact us at sales@mawea.com.my. Click HERE for event album.